In August 2018 Ofcom published a report into how the technological revolution has transformed our behaviour over a 10-year period. So, what’s new for the next decade and how do we at Dialogic Telecom predict the effect of this for business phone users? You only need to be out and about on the street, in a restaurant or on public transport to see that most people are dependent on their phone and digital devices. The smartphone first took off in the UK in 2008 with the iPhone and Android fresh into the UK market. Just 17% of people owned a smartphone at that time but that has risen to 78% today and the figure rises to 95% among 16 to 24-year olds. 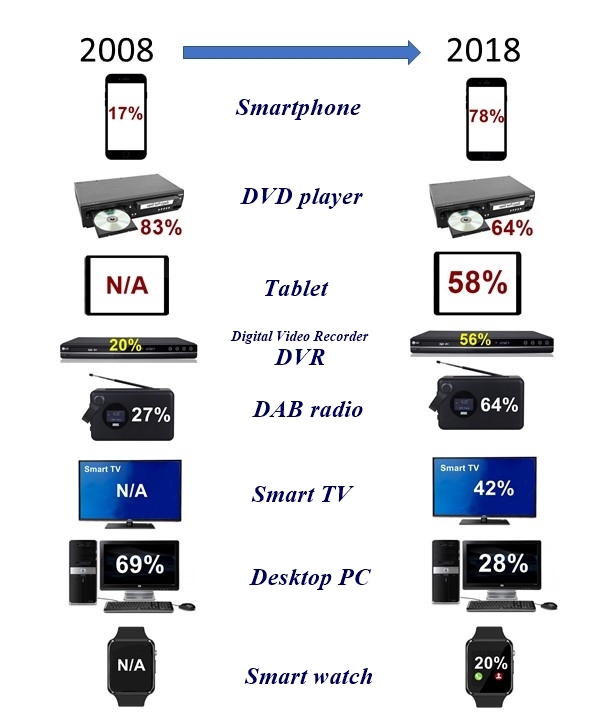 However, there has also been a decrease in some of the older technology that we previously relied on. Technology is rapidly moving forward, and businesses need to keep up to date with this if they want to grow and progress within the current market climate. In contrast to a decade ago, most people now say they need and expect a constant internet connection wherever they go. Many commuters find it essential to be online during their journey, so they can complete tasks in their personal or professional life. To support these trends, Ofcom is working with Government and industry to help improve mobile and Internet coverage on major transport routes. Although progression in the telecommunications industry is making some services obsolete, it will expand many new opportunities such as connecting the Internet of Things (IoT). The Internet of Things (IoT) is the network of physical devices, vehicles, home appliances, and other items embedded with electronics, software, sensors, actuators and connectivity which enables these things to connect, collect and exchange data. Convergence in Telecoms has been re-defined as Mobile, Fixed and IoT and we will see the benefit of this on a massive scale when 5G is eventually widely available. 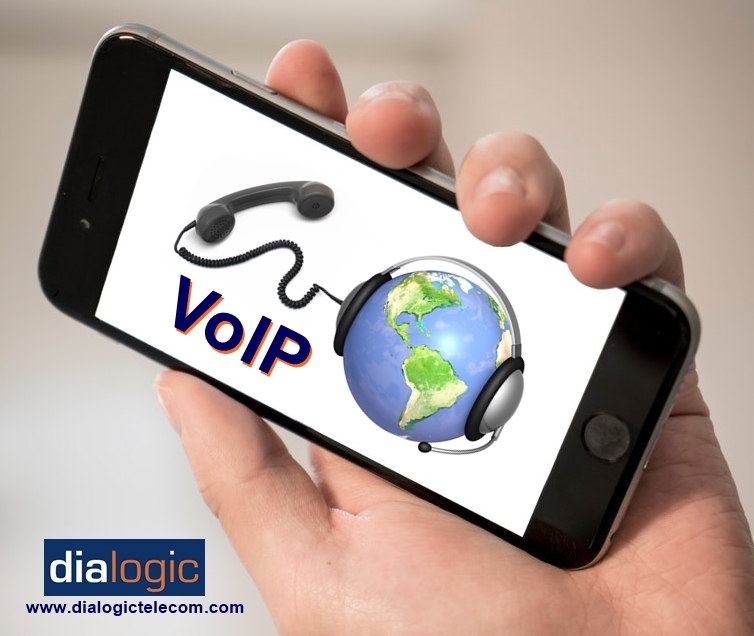 A VoIP telephone system makes you geographically independent, both in terms of administration and use. You can use your office number worldwide – even on your smartphone. Business telecom solutions are varied, and complex so specific expertise is vital. Convergence should be considered within your budget and service excellence is a key factor for you to consider as well as cost. Your phone provider must be responsive and efficient, offering a complete communication solution and consistent customer service for all your business telecom needs. The specification of 5G is still in the development phase; while consumers’ expectations continue to rise. However, there is no doubt about the expansion of VoIP as it already offers an array of benefits to end users. The arrival of a 5G network will further transform how we use it both inside and outside the office. The new generation wireless technology is promising to improve customer experience and business utility through faster transmission and more reliable connectivity. In the meanwhile, as telecom specialists we are excited for the future and will share what’s coming next as we move forward.